Has the Saudi family visit visa fees for Indians reduced to SR 305? 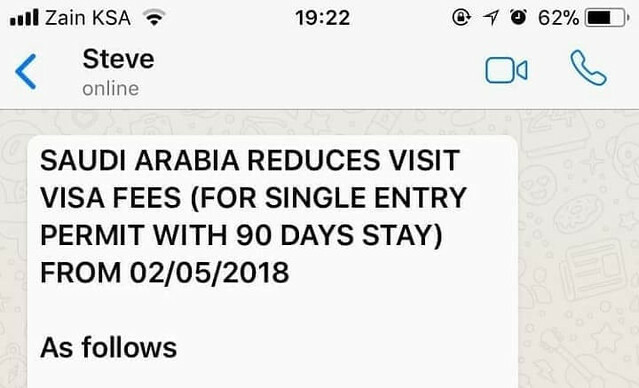 A message along with an image has been in circulation in the social media these days which claims that the Saudi family visit visa fees for Indians has reduced to SR 305. I have been receiving many queries to give my opinion about this news. Before jumping to any conclusion, let’s post-mortem the message and the visa copy so that even you can figure out yourself if the family visit visa fees for Saudi Arabia from India has been reduced or not?
. The following are the wordings of the WhatsApp message which has been in circulation these days. 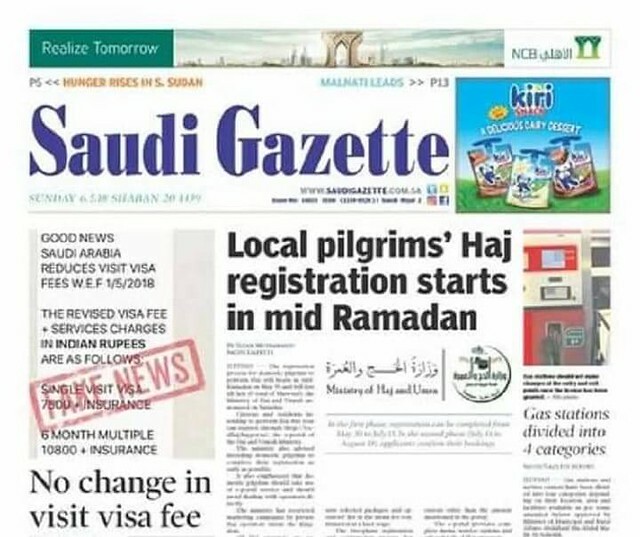 Saudi Gazette published on May 06, 2018 in the newspaper that the information related to the reduction in family visit visa fee is fake. However, within a few hours, they removed this news from their website. We have shared the news clip published in their newspaper below. All this information lead me to reach a wrong conclusion in the beginning that the family visit visa fees for Saudi Arabia from India has not been reduced yet. However, many readers on this blog rectified my mistake and I am really thankful to them. 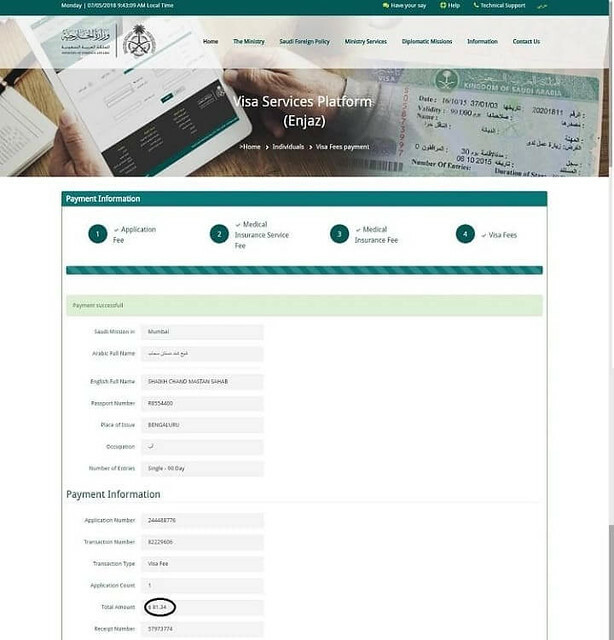 A reader of this blog, Mr. Adil Mohammed has shared a screenshot from the Enjaz website which shows that the Saudi family visit visa fees for Indians have been reduced to $81.34 which is exactly SR 305. 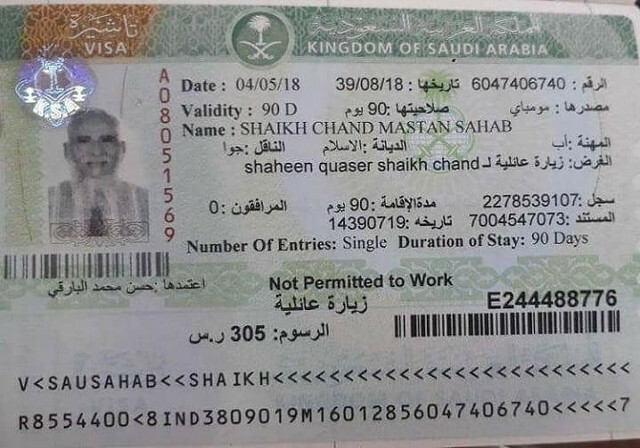 There are several pictures of family visit visa circulating on social media where the Saudi family visit visa fees for Indians is stated as SR 305. We have uploaded one of those pictures for reference. Moreover, all the visa agents in India have been claiming that the family visit visa fees for Saudi Arabia from India has been reduced. With all the information provided above, it is evident that the Saudi family visit visa fees for Indians has been reduced from SR 2,000 to SR 305. We have already provided detail of Nationality Wise New Visit Visa Fee in Saudi Arabia.